The Facebook Giveaway app offers the option of adding users that who use bad practices to your blacklist so that you can exclude them automatically from each new giveaway that you carry out. You create a blacklist for each of your Facebook pages. 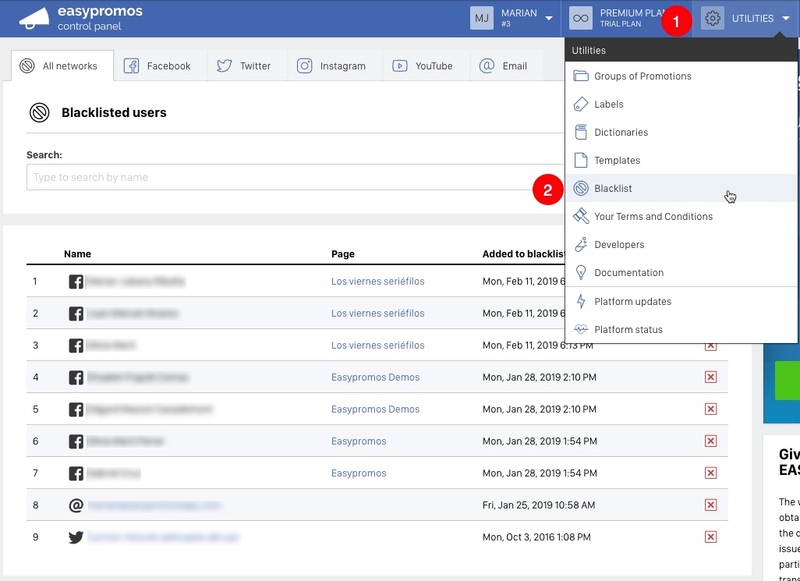 This means that you will create a separate blacklist for each of your Facebook pages. Since the users in your blacklist are arranged by Facebook page, for each new giveaway you carry out, you can exclude the users that are on the blacklist for that specific page. Important! This option excludes all the users that you have added to the blacklist for the Facebook page where you're running the giveaway from. It won't exclude users from the blacklists for other Facebook pages that you administer. What are the Blacklist candidates? Underneath the option to exclude blacklisted user, you will see a link that says “Blacklist candidates”. The blacklist candidates are the Facebook users that you have added to the blacklist for other Facebook pages and the system will show them here in case you want to add them to the blacklist for the current Facebook page as well. 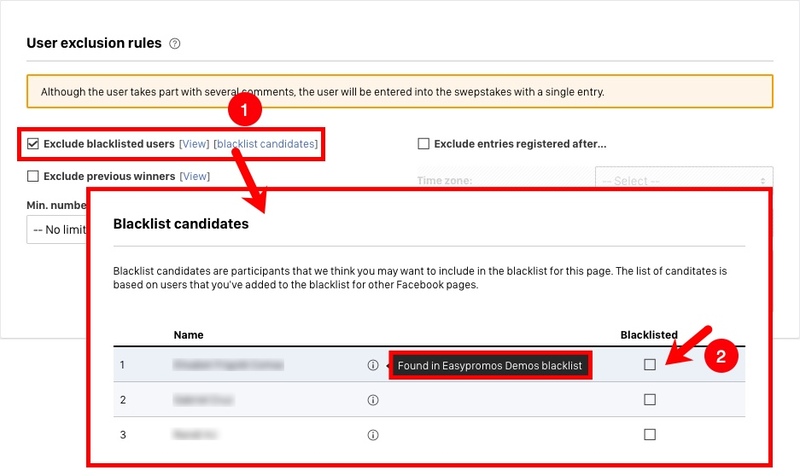 When you click on “Blacklist candidates” you will see the users and the name of the Facebook page that they’re already on the blacklist for, as well as a box to add them to the list for the current Facebook page as well. If you tick the box, the user will be added to the blacklist and excluded from the current giveaway. Can I run several draws from a single Facebook post?